App of the Day picks are selected from the top edtech tools reviewed by Common Sense Education, which helps educators find the best ed-tech tools, learn best practices for teaching with tech, and equip students with the skills they need to use technology safely and responsibly. National Museum of African American History and Culture was named a Best EdTech Tool of 2017. Pros: An impressive collection of well-organized, engaging media. Cons: Specific curriculum materials aren't provided. 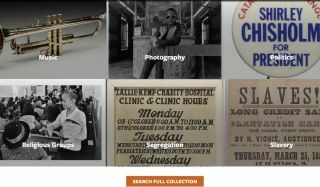 Bottom Line: While there aren't ready-to-go curricular materials, this modern, well-curated, and well-contextualized digital collection is sure to inspire compelling lessons.